Your Fishing & Boating Website! Billy Conway and Rick Smith are two friends who grew up hunting and fishing. They share their love of the outdoors with their fellow sportsmen with weekly blogs, newspaper articles, websites, seminars and radio shows. You can hear them on KNCT 91.3 FM (listen live at http://knct.org) every Wednesday and Friday for a 5 minute update at 6:15 pm, every Friday afternoon from 5:00-6:00 pm on KTEM 1400 AM (listen live at ktemnews.com), every Saturday morning from 6:00 to 7:00 am on KRXT 98.5 FM (listen live at http://krxt985.com) for their weekly Fins, Feathers & Furs report. If you live near Gonzales, catch them Saturday morning and noon at KCTI 1450 AM (www.KCTI1450.com). The above results have not yet been certified by the weighmaster! Thanks to all the fishermen that participated. 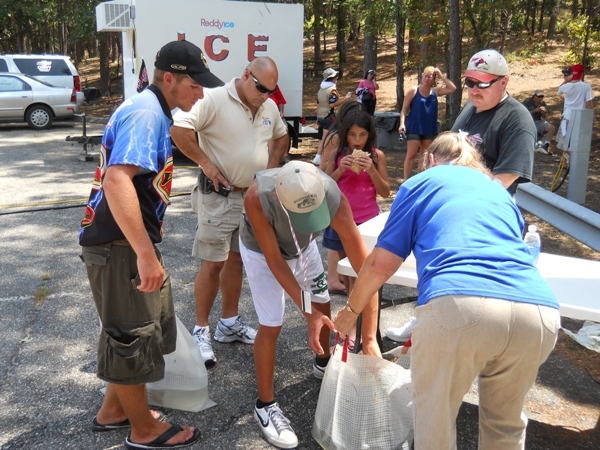 Due to the heat fishing conditions were brutal but 88 teams weighed in fish. The next tournament is Oct. 20 on Lake Stillhouse. This is the day after Fishing for Freedom so hopefully many of you will be able to fish both days. ﻿Wondering which propeller will work best on your boat then click here. These tips are forinboards and inboard/outboards, but checking for fuel in the bilge applies to all of us. Always turn your blower on for 4 minutes prior to starting your boat to expel any fumes from the bilge. At the beginning of each boating day do a visual inspection and a “sniff test” as noted above to ensure your boating safety. Do not overfill the fuel tank. Overfilling may block the vent line and cause excess pressure in the fuel tank. Do not store your boat with a full fuel tank for an extended period of time. Inspect your fuel tank on a regular basis to ensure there is no permeation of fue﻿l. I've been hearing some rumors about Billy's fishing ability (or lack there of). Actually he's a great fisherman, just maybe some issues as a catcherman. Here's proof he can catch them too! The source that furnished this picture has asked to remain anonymous. Some Texas coast special interest groups are asking the TPWD to consider rules for set asides to open access. See the report summary at TPWD Work Session Item #9. Although these are just recommendations limiting coastal fisheries access could have detrimental effects on fishermen, boaters and the coastal economy. Caught a strange fish while fishing gulf waters? Go to http://txmarspecies.tamug.edu to find out what it is. You might just go into the record books. Click here for the results from the 7th Annual Fishing for Freedom Tournament on Lake Belton. A new Texas law requires anyone that is 13 years or older that was born on or after September 1, 1993, to take a mandatory boater education course if they plan on operating a windblown vessel over 14' or a powered vessel with a motor over 15hp on state waters. On the Dock Radio interviewed professional angler, Mike DelVisco, and Dallas Baptist University fishing coach, Scott Darragh on the 29th of Sept. ﻿You can contact both of these men on Facebook. Don't let Ethanol run your weekend on the water. Use BIOBOR EB for your two and four stroke gasoline engine to achieve maximum performance and to stop phase separation. For all your fishing supplies including rod and reel repair check out our friends at TPFT. And a special thanks to and for their financial support of boating and fishing in Central Texas. ********ShareLunker ends for 2011-2012 with 13 largemoutn bass registered. See all the results at www.tpwd.state.tx.us/sharelunker and check out fishermen interviews at www.facebook.com/sharelunkerprogram. ********New digital edition of Texas Parks & Wildlife Fish Forecast magazine is found at www.tpwd.state.tx.us/fishforecast2012 Check out this great new magazine and best of all it is FREE! ********Lake Falcon voted Number 1 bass fishing lake in the nation! Amistad number 6. Altogether Texas leads the nation with 8 lakes in the top 100 with Florida a close second with 7 lakes listed. Go to www.bassmaster.com/news/100-best-bass-lakes for complete results. This week we feature five of my favorite big bass baits and why you should throw them this spring for your chance at a trophy bass. Please Make Your Voice Heard and Provide Comments to Allow the Use of Suppressors to Hunt Game Animals! The Texas Parks and Wildlife Commission (TPWC) is seeking public comment on a proposed rule change allowing the use ofsuppressors (also referred to as silencers) on firearms for the hunting of game species. Currently, Texas law permits the use of lawfully-possessed suppressors for all other shootingactivities, including the taking of nuisance species. Enactment of this rule change would ensure that hunting is treated the same way as other shooting activities withrespect to the use of suppressors, and allow all hunters to reap the many benefits suppressor use provides. There is an incredible amount of misinformation on what suppressors doand how they may be acquired.Suppressors are not "silencers," as depicted in typicalHollywood action film. While suppressors do not eliminate the sound of a firearm, they do reduce the muzzle report in a manner similar tothe way that a muffler reduces exhaust noise from a vehicle. The benefits associated with suppressor use include increased accuracy due to reduced recoil and muzzleblast, protection from hearing damage and reduced noise pollution. According to the information accompanying the release of the proposed state rules, the Texas Parks and Wildlife Department has determined that there is no resource- or enforcement-related reason to prohibit the use of firearm silencers for the take of alligators, game animals or game birds, and therefore proposes to eliminate the current prohibition. In order to acquire a suppressor, a purchaser must submit the appropriate paperwork to the federal Bureau of Alcohol, Tobacco, Firearms and Explosives where long wait times for approval are unfortunately common (four to six months), undergo a background check by the FBI, find a licensed dealer authorized to conduct the transaction and pay a one-time $200 tax for each device. More than half of the states allow the use of suppressors for hunting without reporting any problems with increased incidents of poaching or othercriminal activity. Noise complaints are being used more frequentlyas an excuse to closeshooting ranges, informal shooting areas, and hunting lands throughout the country. Increased use of suppressors will help to eliminate many of these complaints and protect hunting and shooting areas well into the future. For more information on firearm suppressors, click here. This proposal is currently available for review on TPWCs website, and is located in the last two paragraphs on the website. Comments on the proposed rules may be submitted at upcoming public meetings to be scheduled around the state, or to Robert Macdonald (contact information below). Please comment on this important change because allowing the use of suppressors would have a very positive impact on hunting in the Lone Star state. A final decision of this proposed rule will be made by TPWC at its March 28-29 public hearing. Suggested stores for Alabama Rigs (Umbrella Rigs), swim baits, toothpick jigs, Save Phace Masks, HydroWaves and Hot Hand fanny packs, gloves, socks and hats: Marine Outlet of Temple and TightLines Premium Fishing Tackle of Killeen. We wish to thank our radio sponsors. Be sure to help us continue our weekly boating fishing and hunting reports by supporting these fine merchants. 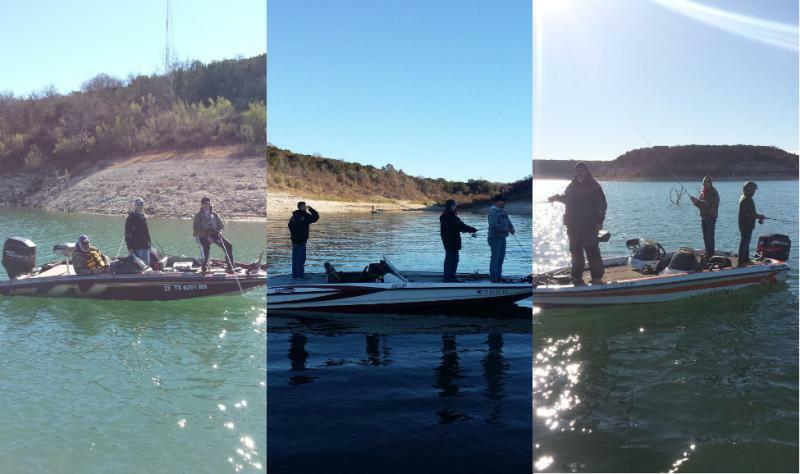 The Texas Tournament Trails first stop was at Lake Whitney on November 19th. Nathan Perkins and Landre Wilson of the University of Texas were able to pull out a very close victory. The UT team was able to practice on Friday before the event, and figured out how the fish were positioned. They found some very productive areas in their practice session enticing bass with PB&J football jigs around steep bluffs, all of which were near the launch. Fortunately the duo was able to make a pit stop in Temple Texas to visit Marine Outlet, a local Legend Boats dealership and supporter of their club, who leant them the right tool for the job, a boat. Rick Smith is a great guy, and has helped us out for years, Landre Wilson said speaking about his sponsor. During the pre-tournament briefing on Friday evening, Nathan noticed that many of the other teams had bigger and faster boats, which they felt like would bode well for them during competition. We knew we wouldnt win any races that day, but we anticipated many of the teams racing across the lake, leaving us our area right by the ramp to ourselves. That is exactly what happened. Having been clued into what the fish were doing in practice, the UT duo was able to get started right away and implement their strategy. PB&J jigs continued to catch most of the bass, and we even caught some swimming it back to the boat, Landre mentioned. "Every fish we caught was suspended in 15-18 foot of water," Nathan added. Landre and Nathan just barely edged out Baylor University by less than an ounce! UT won the event weighing in 12.22 pounds, and Baylor on their heels with 12.17 pounds. Landre and Nathan would like to thank Rick Smith at the Marine Outlet for all of his help over the last couple of years. They would also like to thank the ACA for their continued support. 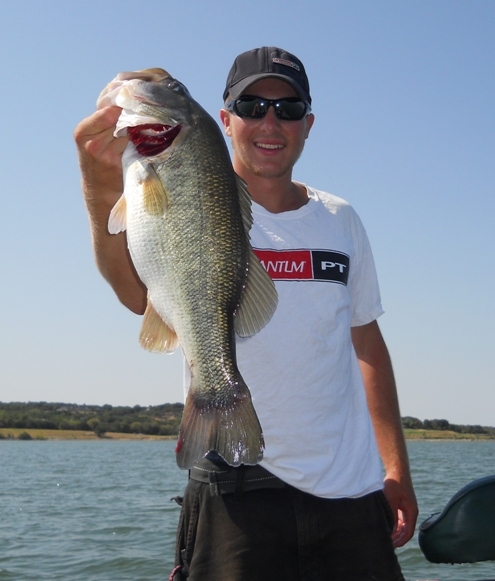 Brandon Dickenson is a graduate of the University of North Texas and was the founder and past president of their bass club. 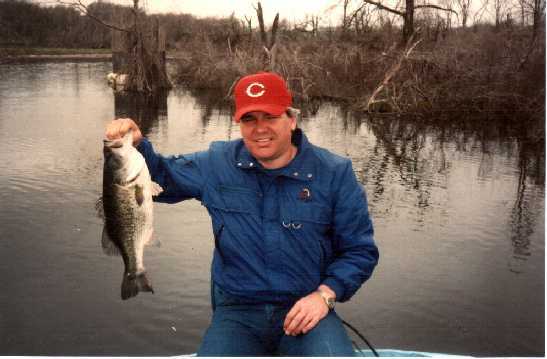 He continues to fish when and where he can while writing about the current college bass fishing scene. He can be contacted at brandon@carecotv.com. Click for Alton's music video! Rick & Billy's newest bass boat-where's the fishing seats, trolling motor and livewell? To everyone whohas been calling and e-mailing as to what happen to our KTEM Friday afternoon show, Billy and I want you to know that the station manager wanted James Harrison back on the air 5 days a week instead of just 4.She said that if we could get a few sponsors then she would sell us the block of time from 5-6 pm and we could talk boating, hunting and fishing to our heats delight. James likes his Fridays off so come on marketing directors and advertising agencies give us a call to discuss promoting your business to the only weekly drive-time Central Texas Outdoor Show. Sportsmen spend money year around on their boats, tackle, clothing, guns, ammo, ATVs, motorcycles, trucks, SUVs, tools, BBQ equipment, food, beverages, fuel, tractors, lawn equipment, insurance, etc. Rick can be contacted at 254.773-4111. Saturday, Jan. 7 at Lake Stillhouse Hollow Marina with weigh-in at Central Texas Boat Show inside the dome of the Bell County Expo. Maybe time to sell the boat and buy a lawnmower! Fishing has consistently attracted new people during the last few years, according to a report released today by the Recreational Boating & Fishing Foundation and The Outdoor Foundation. The 2011 Special Report on Fishing and Boating revealed that in 2010, 3.36 million people participated in fishing for the first time an increase of 2 percent since 2008. We're delighted to see the number of newcomers is increasing year over year, RBFF president and CEO Frank Peterson said in a statement. "The challenge lies in keeping people engaged in the sport. Eight million new or returning anglers participated last year, but more than 10 million dropped out. This is where we need ongoing programs that continue to engage them. The average number of boating outings declined slightly, reducing total boating days from 705 million in 2009 to 676 million in 2010. Boating participants spent an average of 13 days on the water. Most boating participants enjoyed outings with friends (61.7 percent), and most outings were taken in fresh water (61.7 percent). Almost 21 percent of boating participants rented or chartered a boat on vacation. Bass boats are the most popular boat type at 21 percent, followed by bowrider/runabout/jet boat at 13.8 percent. The majority of owners (78.5 percent) own only one boat. Nearly 55 percent of boaters purchased their boat new and, of those, nearly 85 percent purchased from dealerships. Those buying used boats sourced them primarily from friends and newspaper ads. Its almost time to renew your license. Unless you purchased a year to date fishing license or lifetime hunting and fishing license, your current license will expire September 1st. To ease the lines at the merchants who sell licenses, the State of Texas allows sportsmen to purchase their new ones now. These 2011-2012 licenses are good from September 1, 2011 to August 31, 2012. Annually hunters and fishermen purchase about 2.1 million licenses generating millions of dollars in revenue for the state. This year licenses may be purchased at any of the 28 TPWD field offices, at any state park, at over 1,500 merchants that retail the licenses and online at http://www.tpwd.state.tx.us/business/licenses/online_sales/. There is a $5.00 handling fee for online sales and the transaction receipt that is printed out is adequate for proof of a license until the original is mailed (not allowed to be used for any fish or wildlife that requires a tag). Licenses did not increase in price this year and the exemptions are similar to last year, except anyone born prior to January 1, 1931 does not have to purchase a fishing license. Texas resident anglers 65 and older do qualify for reduced priced hunting and fishing license. The best value is still the Super Combo hunting and fishing license for $68 (Super Senior Combo is $32). Duck hunters are also required to purchase a Federal Duck Stamp. Hunters born on or after September 2, 1971 and who are at least 17 years old are still required to take a certified hunter education course. There is a one-time deferral option which may be purchased to allow anyone 17 years old or older the opportunity to hunt one season without taking the course. If you need to brush up on the latest regulations on hunting and fishing, be sure to get a free copy of the 2011-2012 Outdoor Annual http://www.tpwd.state.tx.us/regulations/fish_hunt/. This is now downloadable to most smart phones so youll have the latest information as an app while hunting and fishing. If you were born on or after September 1, 1993, you will need to acquire a boater education certification in order to operate a boat with a motor of more than 15hp or a sailboat more than 14 feet on state waters without an adult on board. This is a new law enacted by the 82nd legislative session. Boaters may take the course online at www.boat-ed.com or through one of the regional certification programs. A complete listing of locations may be found at http://www.tpwd.state.tx.us/learning/boater_education/. Costs vary from $13.00 to $25.00 and most insurance companies offer a premium discount for anyone taking the course. Boaters of all ages are encouraged to take the course. Be safe in the field and on the water. No one wants to be a statistic and we can all use a refresher course before hitting the trails. Conroe, TX The Toyota Texas Bass Classic (TTBC) will once again bring a stellar lineup of country music artists to Conroe, and this year it is free! The Toyota Texas Bass Classic will take place Oct. 28-30 at the Lone Star Convention & Expo Center and concerts will be headlined by Billy Currington on Friday, Oct. 28, Pat Green on Saturday, Oct. 29, and Robert Earl Keen on Sunday, Oct. 30. Limited quantities of tickets are free this year to the three-day outdoor music festival and professional bass fishing world championship through exclusive tournament partners. Free tickets are only available while supplies last through respective sponsor promotions or by visiting Houston-area Toyota dealerships. Tickets will be available beginning Monday, Aug. 22 in stores and online. Tickets are available for Friday, Saturday and Sunday individually. Walk-up tickets the day of the event will require a donation towards the Texas Parks & Wildlife Department and all days are subject to sell out. Fans interested in attending are encouraged to visit toyotatexasbassclassic.com for complete details on how to obtain free tickets in advance. The daily tickets are valid for admission into the festival grounds for angler weigh-ins and the concert of that particular day. All activities, including concerts, weigh-ins, interactive expo areas and the Texas Parks and Wildlife Outdoor Adventures Area will take place at the Lone Star Convention & Expo Centers festival grounds in Conroe. The Toyota Texas Bass Classic brings national exposure to this area with a huge boost to the local economy, all while providing an unbelievable entertainment value and three exciting days of action, said Conroe Mayor Webb K. Melder. It is outstanding for the city of Conroe to host this world-class event. Billy Currington has recorded seven No. 1 hits in his career including a pair of Grammy nominations. The happy-go-lucky Georgia native has charmed crowds since he burst on the scene in 2003, and has toured with the likes of Kenny Chesney, Brad Paisley and Sugarland. Enjoy Yourself, Billys fourth album, builds on the success of his 2008 collection, Little Bit of Everything, which yielded three No. 1 hits: Dont, People Are Crazy and Thats How Country Boys Roll. Pat Green has blazed his own trail in the country music world since 1995. The three-time Grammy nominee and Texas fan favorite has also enjoyed widespread national success since the release of his 2003 mega hit Wave On Wave. Greens supercharged live performances have evoked comparisons to the likes of Bruce Springsteen and Jimmy Buffet. In addition to national tours with superstars like Chesney, Dave Matthews and Keith Urban, Green sells out headline shows across the country. His winter 2009 release, What Im For, debuted at No. 2 on the Billboard charts and signaled Greens arrival as a major American singer-songwriter. As singer-songwriter, Robert Earl Keen has built a reputation as one of the nations finest musical storytellers. Keens formula for success has worked well since he began performing in 1981 and paving the way for a generation of songwriters and performers who make a living on the road. He paints vivid musical portraits and tells timeless stories that have led artists like George Strait, Willie Nelson, Johnny Cash, Lyle Lovett and the Dixie Chicks to record his songs over the years. Its because of Keens confidence in his work that he had the courage to abandon his tried-and true formula while making his new Lost Highway album and 16th release, Ready for Confetti, which goes on sale Aug. 30. As a result, he has produced one of the finest albums of his career. The 2011 TTBC will also host a 50-angler field, assembled from the top professional leagues in the world, including the PAA Bass Pro Shops Tournament Series, Bassmaster Elite Series and the Walmart FLW Tour. The format has created a true bass fishing world championship. The Lone Star Convention & Expo Center is a state-of-the-art facility conveniently located minutes from Lake Conroe and The Woodlands and only 40 minutes north of Houston. The location offers easy access to event activities, local shops and restaurants.For more information visit thelonestar.org. 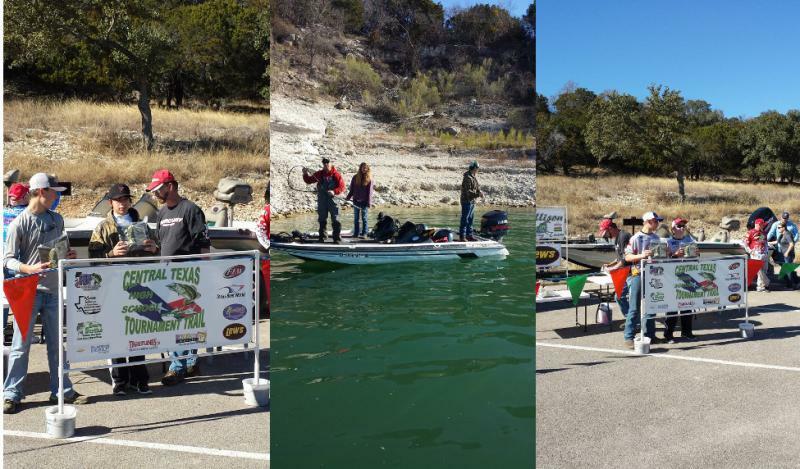 The Toyota Texas Bass Classic tournament functions are operated by the Professional Anglers Association with technical assistance and support from Texas Parks and Wildlife Departments Inland Fisheries Division. Title sponsor for the event is Toyota. Additional sponsors include Evinrude, IKON, Oakley, Carrot Stix, US Reel and Mustang CAT. Corporate partnership opportunities are available for 2011. For additional information, visit toyotatexasbassclassic.com or call 1-866-907-0143 . Saturday, August 13th, 07:30 AM. Sorry I didnt get back to you folks last night. Yesterday afternoon Nik and I drove to Hot Springs with a father/son team Bob and John Schultz -we met at the Junior World Championship back in 2008 in Columbia, S.C. The four of us watched the Forrest Wood Cup live weigh-in (professional tour level championship tournament) then went out to dinner. It was great to see them again. Bob is a great American who has his #1 priority in the right spot, his family. He doesnt fish himself doesnt even own a rod but you wouldnt know it by talking to him. He speaks with authority on all aspects of the sport, all because of his concern and love for his son John, who is a very fortunate young man. This world would be a better place for mankind if we were all like Bob. But actually, there are many Bobs in this sport. I saw a ton of them at the tournament weigh-in yesterday afternoon. Another Bob I met would be Dave Bruggman from Washington State, who made the trip here with his grandson Max. Dave and Max flew here the day before the tournament. Unfortunately the airlines lost all of Maxs fishing gear during the flight and it was 3 AM Friday (yesterday) morning before it was found and delivered to our motel. Dave sat up all night waiting for the delivery, then spent the rest of the night tying up gear for his grandson Max. I doubt Dave got any sleep. Im sure Max will remember and talk about what his grandpa did for him the rest of his life. Its the Bobs and Daves that form the backbone of our great country; you guys rock! OK, the day one weigh-in. Nik did not make the cut, but he did well compared to most who competed, and hooked some good fish. He weighed in three spotted bass for 3 lbs 6 oz. He scored 3rd in the western division; however, only the first place contestant will move on and compete tomorrow against winners from the other five divisions. Was Nik disappointed? Yes. Is he discouraged? No. Nik understands the sport and his abilities too well to be discouraged. Niks day will come, he knows that. I just hope Im still around when it happens. Today we will make the trip back to the Hot Spring Convention Center where we will meet with Bob and John and mingle with some of the pros. Nik needs this kind of exposure. We will make a day of it and stay for the live pro weigh-in, then probably have dinner again with others in our group. Thursday, August 4th, 5:20 PM. Nik and I continue to find new waters to fish in Lake Waco. Im amazed at the number of fish were catching in weather this hot. It seems theres always somewhere you can go to find biting fish. Yesterday Nik caught a 5-9 and a 4-1. If theres fish to be caught, Nik will catch them. Tomorrow morning we drive to Arkadelphia, Arkansas so Nik can pre-fish Degray Lake. A member of the local TBF (The Bass Federation) club has offered to take Nik and I fishing this weekend. Hopefully Nik can put a winning pattern together for the tournament. The lake goes off-limits for the tournament contenders midnight, Sunday. Ill have more information about this fishery and photos. 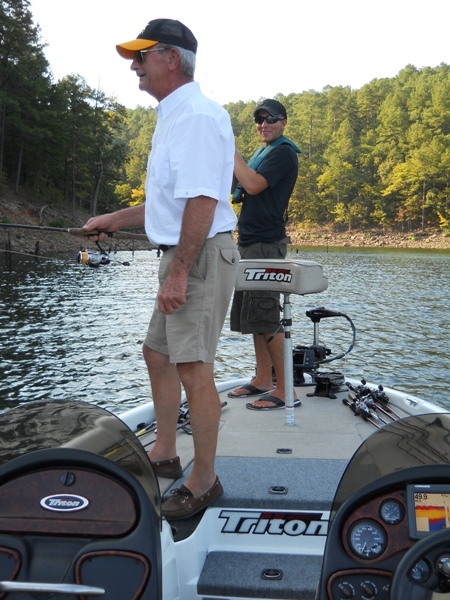 I also want to mention our guide for two days of pre-fishing, Perry Kincade, did a stellar job and gave it his best. Perry lives in Little Rock, so he had an hour drive each way to help us out. He showed us all his good spots and essentially allowed Nik and I to fish most of the time. Perry is a member of the local TBF club in Little Rock and fishes club and some open tournaments. Perrys help is invaluable to Nik and we are sincerely grateful he was willing to make the drive each day to help Nik out; it's up to Nik from this point on. 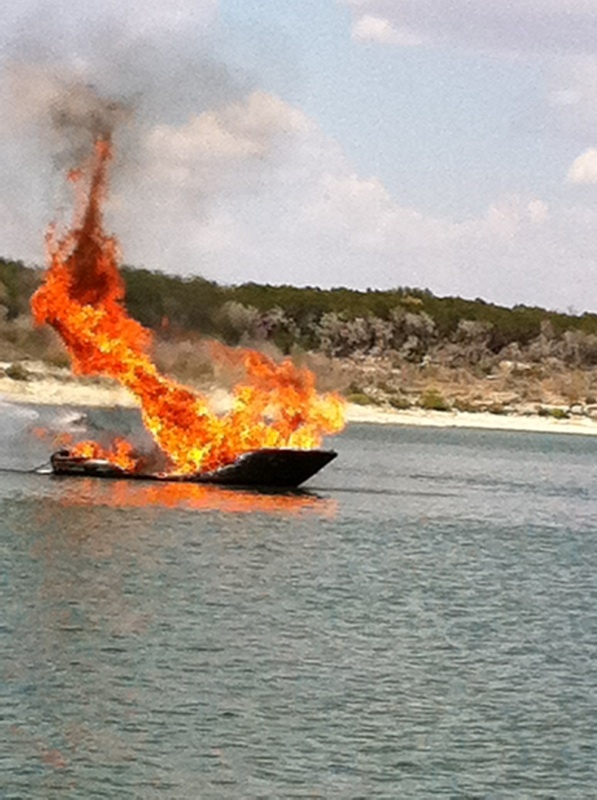 This fire occured Monday, August 1,just off Rogers Park on Lake Belton. Fortunately everyone got off the boat in time. I'll post more information when I get the full details. (TPWD is currently investigating this incident and has declined to release any details until the investigation is complete). Conroe, TX The Toyota Texas Bass Classic is proud to introduce the first ever ShareLunker Club Tournament (SCT) on Lake Conroe, October 1 21, 2011. This unique tournament allows the everyday angler to compete like a pro for the chance to win $100,000. 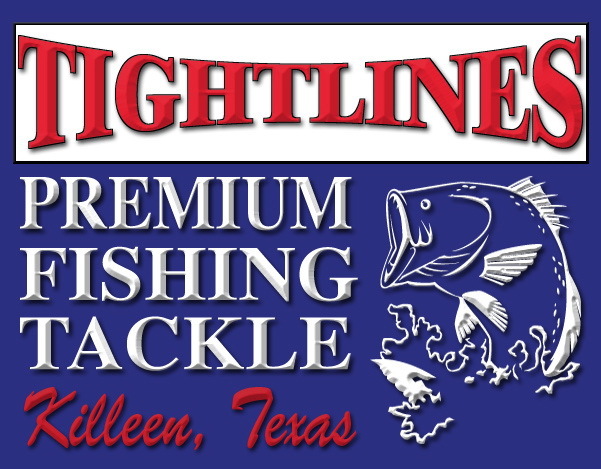 To participate in the tournament, interested anglers need to register and become a SCT member, and then fish on Lake Conroe anytime between October 1 21, 2011 (the Tournament Period). A $100 contribution is required to become a member of the SCT and only pre-registered members will be eligible for the $100,000 prize. The member that catches the largest Toyota ShareLunker from Lake Conroe, during the Tournament Period, will win a cash prize of $100,000. A portion of the proceeds from the program will benefit the Texas Parks and Wildlife Departments youth outreach programs. 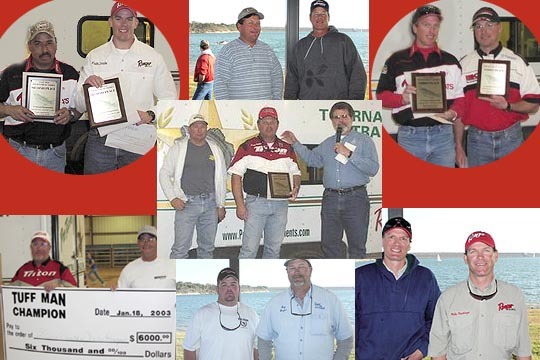 The ShareLunker Club Tournament is a great way for anglers from throughout the state to fish for big time money at Lake Conroe, the home of the Toyota Texas Bass Classic, said Dave Terre of the Texas Parks and Wildlife Department. Lake Conroe and the City of Conroe are incredible hosts of this event and were excited to start the ShareLunker season off with a bang. The funds raised from this tournament provide fishing opportunities for youth and their families through the Departments Neighborhood Fishin Program. A Toyota ShareLunker, as defined by the Texas Parks and Wildlife Department, is considered any legally-caught largemouth bass that weighs at least 13.00 pounds and is accepted into Toyota ShareLunker Program. The contest will be limited to the first 1,000 anglers signed up and anyone who signs up after Sept. 29 will be subject to a 48-hour grace period before they are eligible to participate. Visit toyotatexasbassclassic.com to download a registration form and submit the membership fee. In addition, anglers can submit their registration and membership fees at Roadhouse Tackle ( 936-856-3009 ) located at 1360 Cude Cemetery Rd. in Willis, Texas. Next Saturday August 6th is our Annual Clay Shoot: it will start at 8:00am, @ Rodney Tyrochs place out on Hwy 53 east (I will send directions later), this is for the whole family. Be sure to bring plenty of shells, chairs, water, also bring a box of clays if you can or we will have a bucket for donations. Matt. 4:19, Jesus said, "Come follow me and I will make you fishers of men." What is the STAR Tournament? The CCA Texas STAR Tournament was created to support the Coastal Conservation Association (CCA) in its mission to advise and educate the public on the conservation of our marine resources. Contestants can participate from shore, by wading or from a boat. The tournament takes place each summer from the Saturday before Memorial Day to Labor Day (May 28th - September 5th 2011). In 1990 Congress established an excise luxury tax on yachts that almost brought the boating industry to its knees costing over 7,500 American jobs resulting in loss of state and federal revenues and an increase in the cost of unemployment benefits. Congress soon realized the mistake it had made and repealed the act in 1993, but not before dozens of boat brokers, dealers, builders and their suppliers had gone out of business. Part of the problem was that many consumers considered the tax to be on all boats not just those priced at $100,000 and over. Now we are hearing the rumbles from Washington that private boat ownership is a luxury that is only for the well heeled in our society, which of course is very far from the truth. Most families that own boats are from the middle class with gross incomes less than $100,000. A typical family boat will cost around $25,000 with payments of approximately $300 per month, well within the reach of most. Boating is truly a family sport. Also the $31 billion boatbuilding industry supports 135,000 jobs generating income and sales tax revenues. Often families will purchase a small cabin style boat so that they can use it as a boat and a camper. If the boat is financed, the IRS has allowed a second home tax deduction for homes, recreational vehicles and boats that had a head (bathroom), galley (kitchen) and berths (bedrooms). Now Senator Jay Rockefeller, D-WV, and others are proposing to remove this deduction for only boats. In fact H.R. 1702 has been introduced by Representative Mike Quigley, D-IL, asking for the deduction to be removed unless the boat is the primary residence. As gas prices have gone upwards along with airfares, lodging and eating out, many families have opted for staycations, i.e. staying near home and enjoying outdoor fun in their own communities. Here in Central Texas we are fortunate to have dozens of lakes within minutes of our homes. There are hundreds of camping areas from primitive to full hook-up with water access and dozens of launching ramps for boats. Lakes are down due to the drought, but there is still plenty of water for recreation. A family can spend a whole weekend on the lake for less than a day trip to San Antonio or Dallas and not have to fight Interstate 35 traffic. Bottom line we all know that governments must learn to live within their means just like families. Once we start spending more than we make, were headed for bankruptcy. Im optimistic that our leaders can set aside their differences long enough to find solutions that will work both for the short and long term. If not then another day of reckoning will be coming in 2012. 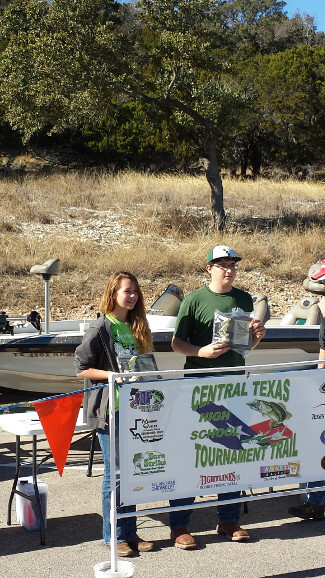 Belton, TX Children take to fishing like ducks to water and there is probably no one in Central Texas that does more for youth fishing than Bob Maindelle of Holding the Line Guide Service. Bob has been active with the Austin Fly Fishers Club in promoting the Soldiers Involved in Fishing Fun (SKIFF) program. SKIFF offers free guided fishing trips to the children of soldiers who are deployed in harms way and to any child who has lost a parent on active duty. The child must be in third grade or higher and can be up to 16 years old. Any child catching their first fish ever will be eligible to receive their Texas Parks and Wildlife Junior Angler Award. A parent or guardian may also participate with the child and up to three children may go on the fishing trip together. On one recent trip Bob took Sydney and Josh Vassar of Harker Heights to Lake Belton for some hybrid and white bass fishing. In less than 35 minutes the kids had already caught several white bass and hybrids. Toward the end of the fishing trip Josh was fishing with a oz TNT slab in over 33 of water to grab the new Lake Belton Catch & Release record. Joshs fish measured in at 15.375. Im sure Joshs dad, Sergeant First Class Dameon, is proud of his son and is looking forward to coming home to be with his kids on their next fishing trip. 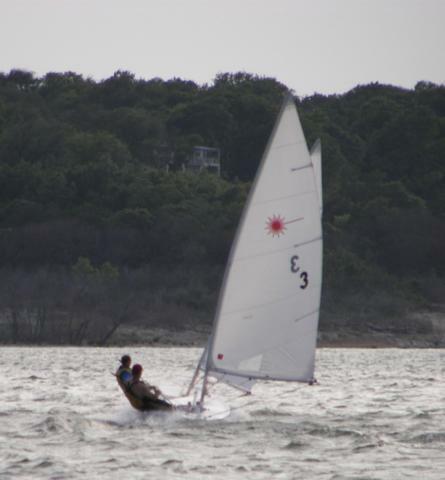 For more information on SKIFF go to the website www.holdingthelineguideservice.com or give Bob a call at 254-368-7411. Local guide, Marty McIntyre, took a lake record buffalo fish by bow and arrow on Toledo Bend Lake early the morning of the 4th and knew it should be a record as soon as he was able to haul it onboard his boat. The fish measured 47 long, 40 in girth, and weighed 81.5 lbs. Finding certified scales over the 4th was a real challenge and he called me to see if I knew who could help. He finally got the weight certified and found a freezer large enough for the fish. Now Marty is preparing all the paperwork necessary to document the record fish. Jeff Parrish, Texas Parks and Wildlife Department Assistant Chief for Marine Law Enforcement, says that the department had all game wardens on duty over the July 4th weekend, making sure boaters had a safe experience on Texas waters. Although not all numbers are in yet, boating and driving while intoxicated arrests by the wardens were up from 53 in 2010 to 70 this holiday weekend. Unfortunately water related fatalities went from 3 in 2010 to 15. More information will be available on the causes of the fatalities once the reports are filed by the various regions. Remember to Be Water Wise and always wear your life jacket. File a float plan so friends and family know where youre going and when to expect you home. Lakes are low due to the drought so be careful of submerged objects. Beware of diving into any water before thoroughly checking the depth. Stay hydrated; water not alcohol or caffeine works best. Take extra gear like water, matches, a flashlight, a blanket, suntan lotion, and first aid kit. Wear loose fitting clothing along with a wide brim hat. Stay in the shade whenever possible. If someone is in trouble in the water, throw them something that floats for them to grab onto. Unless youre certified as a life guard, you may be pulled down by the person youre trying to save. Be especially careful of using inflatable toys and rafts as life jackets. If they spring a leak, you may be too far from shore to swim back. Make sure children wading on shore always have on life jackets and keep them under the watchful eyes of an adult. Use the buddy system so that everyone always knows where their partner is located. Lets be safe this summer. AUSTIN With the July Fourth holiday approaching, the Texas Parks and Wildlife Department is urging boaters to declare their independence from zebra mussels by keeping their watercraft free of the small but insidious invaders. The British may not be coming, but the zebra mussels unfortunately are, said Brian Van Zee, a TPWD Inland Fisheries regional director whose area is ground zero of the zebra mussel war in Texas. Zebra mussels were first documented in Lake Texoma in 2009 and weve got to try to keep them from spreading any farther in this state. If we dont, the impact on everything from fishing to our water supply could be devastating. Native to the former Soviet Union, zebra mussels found their way to the United States via the exchange of ballast water from ocean-going vessels passing through the St. Lawrence Seaway to ports on the Great Lakes. Since then, the rapidly propagating bivalves have been spreading south and east and are currently found in 29 states. In addition to this holiday reminder for Texas boaters about the importance of cleaning their vessels, TPWD will be implementing a public awareness campaign, Hello Zebra Mussels, Goodbye Texas Lakes: Clean, Drain and Dry to better educate boaters on the dangers zebra mussels pose to the states aquatic ecosystems, private property and water-related infrastructure such as water supply systems. This campaign will be funded by a coalition of partners, including North Texas Municipal Water District; Tarrant Regional Water District; Trinity River Authority; City of Dallas Water Utilities Department; Sabine River Authority; Canadian River Municipal Water Authority; San Jacinto River Authority, Lady Bird Johnson Wildflower Center and the Angelina and Neches River Authority. Our message is simple, Van Zee said. 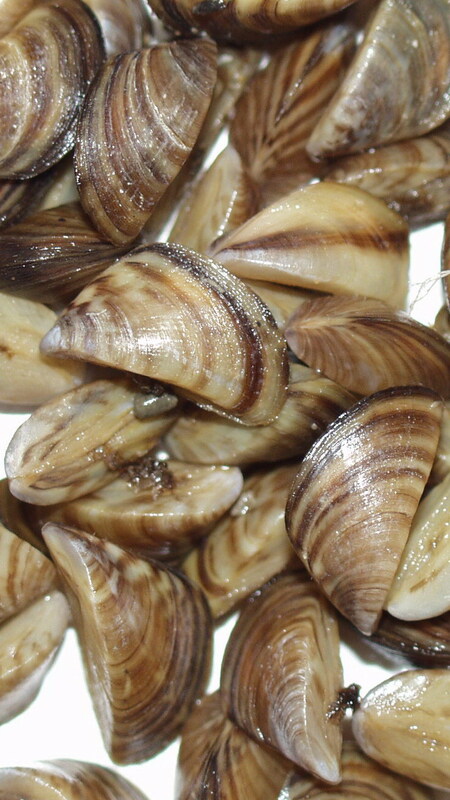 If you keep or use your boat or personal watercraft on Lake Texoma, or have operated in out-of-state waterways already infested with zebra mussels, Clean, Dry and Drain your vessel before heading to any other body of water in Texas. Of immediate concern in North Texas, he said, are lakes such as Lavon, Ray Hubbard, Lewisville, Grapevine, Possum Kingdom, Granbury and others. These lakes are on the Trinity and Brazos River systems and they are heavily used by recreational boaters. In their larval form, zebra mussels are impossible to see with the naked eye, Van Zee said. This is why its particularly important to Clean, Drain, and Dry boats, even when the boat appears to be clean. Clean all vegetation, mud, algae and other debris from the boat and trailer before leaving the lake. Drain all water from the motor as well as the livewell, bilge, bait buckets and any other compartments or systems that hold water before leaving the lake. Dry the vessel and associated equipment for a minimum of 7 to 10 days during the months of May through October or for 15 to 20 days from November through April. These drying times are approximations, and conditions such as cooler air temperatures, higher humidity and whether or not the vessel is kept in dry storage should be considered. While these are the easiest preventive measures boat owners can take to help prevent the spread of zebra mussels, boats and other vessels that have been kept on Lake Texoma for an extended period of time and are infested with zebra mussels may require additional cleaning procedures. Power-washing with water at least 140 degrees Fahrenheit and flushing the motor, bilges, live-wells and other water intake systems with 140-degree water will kill zebra mussels. To be effective the water coming out of the flushed systems needs to reach 140 degrees to ensure the entire system was exposed to water hot enough to kill the mussels. If it is not possible to clean the internal systems or compartments using 140-degree water, the use of either straight vinegar or a chlorine bleach and water solution (one-half ounce bleach to one gallon water) can be effective at killing zebra mussels as long as the mixture is kept in contact with the mussels for 20 to 30 minutes. Clean water should be used to flush the chemicals and dead mussels from the boat following treatment. Boat owners should check with their manufacturer to be sure using these chemicals will not void their warranty. Large vessels with complex water intake systems such as those used for cooling the engine, air conditioning or personal sanitation may require decontamination by a boat mechanic or marina. Photo Editors: Images associated with this news release are available on the TPWD Web site (http://www.tpwd.state.tx.us/newsmedia/news_images/). Vote for your favorite professional angler at http://vote.bassmaster.com/ One angler from each region will be picked to fish against the top 8 points finishers from 2011. You can vote once a day. Club owned 420 and Laser. Sponsor of the UMHB CruSailors sailing club. Check out our FUN RACE schedule in the files section! For LBYC membership info call 254-913-7334 . Lakes, Dates & Times will be posted by June 20 to give everyone plenty of time to schedule their tournaments. We will do our best to not conflict with any other popular tournament trails so that fishermen can participate in as many trails as possible. The championship is January 7, 2012 on Lake Stillhouse Hollow. The weigh-in will be inside the dome at the Central Texas Boat Show at the Bell County Expo in Belton, TX. The continued drought in Central Texas has many lakes well below normal for this time of year. Boaters who have not been out to area lakes recently should use caution as some waters that were safe to navigate are now too shallow. We are seeing more reports of boaters hitting stumps and other obstructions causing damage to their boats, lower units and propellers. There are even reported cases of boaters running aground. 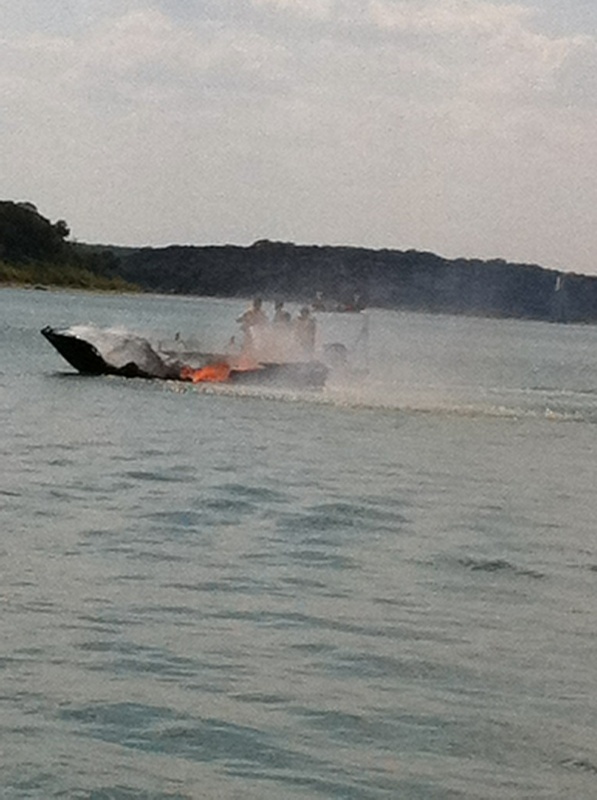 Texas Parks & Wildlife officials have kept statistics of boating accidents caused by groundings and from hitting submerged or fixed objects. For the years 2007 through 2009, there were a reported 148 such boating accidents (many accidents go unreported). Jeff Parrish, TPWDs Assistant Chief of Marine Law Enforcement, says that 15 people lost their lives and 123 required medical attention. The most common denominator causing injury or death was the vessel occupant(s) being thrown out of the boat. Some shallow areas are marked off by buoys, but these can be unreliable and difficult to see. Plus most of these markers were set for normal conservation pools. Locally, Lake Belton is down almost 4 feet, Stillhouse Hollow is 3 feet below normal pool, Georgetown is down over 12 feet, Whitney is 11.50 feet below normal and Waco is a little over 2 feet down. Unless we get some rain on the watershed, these lakes will continue to fall. Some lakes like Travis on the Colorado are down so low that many launching ramps are unusable. The best thing a boater can do is to pay close attention and remember that just because an area was deep enough last week does not mean it is safe today. The wise thing to do is get a chart of the area you are going to be in and study it ahead of time noting any sandbars, submerged objects or other obstructions. If in doubt, slow down going through unknown areas. Remember also that when you hit the throttle your stern will dip down deeper than when sitting still or when the boat is on plane. A depth finder with shallow water alarm can help, but if youre running at any speed, youll be in trouble before being alerted. When teaching navigation, I always tell my students to use the shoreline as a gauge of what the terrain might look like under their boat. A gradually inclined shoreline probably means the shoals run far from shore. Also watch for water color. Muddy or brownish water is a sure sign that the waves and wind have churned up the bottom due to the shallowness of the water. Unusual wave action can also be a warning of possible shoals. Beware of running between an island and a nearby shoreline. Remember scan the water, pay attention and slow down. Always wear your life jacket, stay vigilant and enjoy your boating this summer. No one wants to spend the summer dry docked while their boat is in the shop being repaired or worst yet in the hospital from a boating accident. Thirty-two teams fished the 11th Annual Spring Bass Classic on Lake Stillhouse Hollow Saturday. First place and $2,000 went to Craig Gilbert with 5 fish weighing in at 19.03 lbs. Second place honors and $700 went to the team of Tightlines Army Bass Angler Chuck Guthrie and Scott Meads with 5 fish weighing 16.26 lbs. Third place was Daniel Barnes with 5 fish at 13.19 lbs. He won $350. big bass of 7.40 lbs was caught by the team of Armando Ortiz and Michael Pulido earning them $250. The tournament paid back 103% plus prizes and trophies. Over $3,000 from sponsors went into the scholarship fund of the Police Chief's and Sheriff's Association. Billy Conway, tournament director, wishes to thank everyone who participated and all the sponsors including Texas Tournament Zone for the use of their weigh-in equipment. Craig Gilbert with his winning stringer of 19.03 pounds. Chief Gene Ellis presents Army Bass Angler Chuck Guthrie with the second place check of $700. Volunteers tally the results and write the checks. Chief Gene Ellis and investigator Billy Conway give out dozens of door prizes donated by tournament sponsors. Michael Pulido with his 7.40 lb big bass earning his team $250. Markus Morace, team Marine Outlet, and Lisle Meeker, team Nikken Hooked on Health enjoyed a great day of fishing but not catching on Lake Stillhouse Hollow. So all fisherman are not liars! Operation Game Thief is just like Crimestoppers for hunters and fishermen. Help preserve our heritage for generations to come by reporting poachers to www.ogttx.com or 1.800-792-GAME . 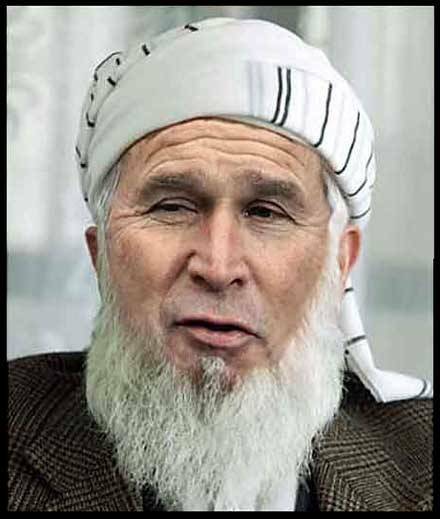 Just in news photo of the informant who was spying on Bin Laden. See photograph here first! According to the Bureau of Alcohol, Tobacco, Firearms, and Explosives, the Project Gunrunner program was intended to stop the alleged flow of guns to criminals in Mexico. That didn't happen. Instead, the program may have facilitated the illegal smuggling of thousands of those guns, some of which actually turned up at the murder scene of a U.S. Border Patrol agent in December 2010. As the probe into Project Gunrunner heats up, the House Committee on Oversight and Government Reform and the Senate Judiciary Committee want to determine if high-ranking officials in the Department of Justice knew about and approved Project Gunrunner. To that end, this week, U.S. Attorney General Eric Holder was called to testify before both committees. When questioned by Sen. Charles Grassley (R-Iowa) on Wednesday, Holder said that he does not know how guns allowed to "walk" during the federal gun sting operation ended up at the U.S. Border Patrol agent's murder scene. "I frankly don't know," Holder said. NRA JOINS AMERICA IN THANKING OUR NAVY SEALS!! !There are certain points in American history when time stops and everyone remembers where they were. Some of these are due to tragic event; others to extraordinary achievements. On May 1, 2011, our brave Navy SEALS provided America with an historic event that will forever be seared in our memories: the killing of Osama bin Laden -- the mastermind behind the September 11 terrorist attacks on our nation. The men and women of our military understand that the price of freedom is eternal vigilance, and they live it every day. On May 1, they once again demonstrated why America is the greatest country in the world. The NRA salutes these American heroes. To order a T-shirt, yard sign, or bumper sticker commemorating this historic event, please visit www.nrailasigns.org. We hope that you will proudly wear the shirt, display the sticker on your car or truck,and place the sign in your yard or business. NRA-ILA will donate a portion of the proceeds from every purchase to the Navy Seal Foundation to honor those who risked their lives to defend freedom. Please share this e-mail and this link with your fellow pro-freedom Americans and ask that they too show their gratitude and display their pride! This evening's trip was the ninth S.K.I.F.F. trip I've run for 2011. When Mike Raymo, a fellow West Pointer (Class of 1999), heard about SKIFF, one particular young man came to mind, and that was 10 year old Luis Kruger, the son of Major Luis Kruger, an Army chaplain now deployed to Camp Adder with the 4th Sustainment Brigade in Iraq. Mike, who is now a professional engineer in the private sector, got to know Luis through a homeschooling cooperative that his own 7 and 9 year old boys are a part of. Luis Kruger (age 10), son of Major Luis V. Kruger Jr. now stationed at Camp Adder, Iraq. Mike Raymo and his oldest son, Samuel (age 9). Little Hudson Raymo (age 7) and his best fish of the night. The Raymo family contacted me to see if they could chaperone Luis on a SKIFF trip and pay the way for their own boys to come, too. I told them I thought that'd be a great way for Luis to get an opportunity to fish. Tonight, we made that trip happen. I'd fished a very productive morning trip, boating 127 fish, and so had "good intelligence" on where the fish would be this evening. We met at the boat ramp just before 5pm and got right to work. I anchored us out in 25 feet of water and made sure the boys were performing at a least a B- level on their "smoking" technique using a slab spoon before we went in search of fish to practice that technique on. The boys all got the hang of things very quickly, and so we began the hunt. On evening trips, I typically begin at the deepest areas and work shallower as the light fails. So, this evening I began at Areas 779/073/788 which are in close proximity to one another in about 31-35 feet of water. The fish were just getting perked up for the evening feed and were a bit sluggish as we arrived, so, we had to keep "hopping" around this general vicinity to provoke still-sluggish fish to hit. We boated a total of 51 fish here by 6:35pm when the bite began to soften. All fish here came on a smoked TNT 180 slab in 3/8 oz. white. We looked over a few other areas and I finally saw what I liked at Area 103/549, and that was tightly bunched white bass holding 12-14 inches off the bottom on the windblown side of a main lake topographic feature (a hump). Once I got us into a hover, the fireworks began. When all was said and done, we'd boated exactly 30 more fish here by 7:45. Again, all fish here came on a smoked TNT 180 slab in 3/8 oz. white save a handful that Mike took on a Strike King Sandblaster. I had him work that beyond the radius the boys were effectively reaching so as to draw schoolmates in toward the boat (and the boys lines) as those schoolmates followed hooked fish as they were being reeled in. Due to a thick cloud bank to the west, our "sunset" came early as the clouds obscured the setting sun and darkened the waters prematurely turning the bite off once and for all. Our tally would stand at 81 fish, every single one of which was a white bass. I appreciate Mike including Luis in his own family's activities while Luis' dad is away ... what a great way to model concern for others to his own boys. I also thank all of you who support SKIFF and making it the vehicle for days like this to happen! Air Temp: 84F at trip's start. Skies: Skies were fair with a cloud bank to the west that obscured the sunset. Rick & Billy are two friends that love all things boating and fishing. They have taken their passion for the Texas outdoors and made it their mission to share it with everyone else. Each week they offer a Blog of what is happening in Central Texas plus they have three weekly radio shows. One show is on KNCT 91.3 FM PBS on Wednesday and Friday at 6:15 PM,then every Friday at 5:00 PM on KTEM 1400 AM, and Saturday mornings at 6:00 AM on KRXT 98.5 FM. You can also catch them live on the web at www.myktem.com every Friday from 5:00 pm to 6:00 pm. Need an immediate answer call our toll free number 866-397-5934 during normal business hours from 8:00 AM to 7:00 PM, Monday through Saturday.